HP: “Designed for efficiency, the new Fiat Tipo offers all the space you need in a car of just 4.5 metres. 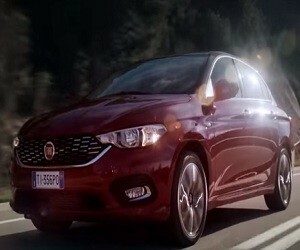 With a complete range of equipment as standard, unmistakable detailing, a unique design and outstanding fuel economy, the new Fiat Tipo is elegant, spacious and comfortable. Tipo: you don’t need much to get a lot”.